While insulin is usually given as an injection because it is broken down and inactivated in the stomach, doctors in Sichuan have shown that it can be effective when given orally in a special enteral formulation. Researchers from the Department of Endocrinology and Metabolism at West China Hospital, Sichuan University, Chengdu, evaluated the pharmacodynamic and pharmacokinetic profiles of orally administered enteric insulin and compare the time–action of the oral insulin capsules with a standard insulin injection formulation, neutral protamine Hagedorn (NPH) insulin. 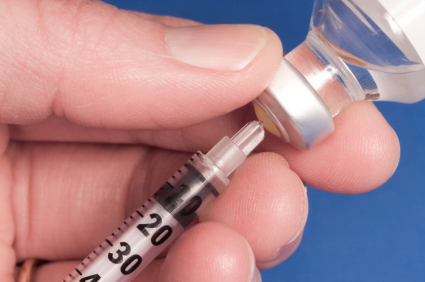 in their study, 12 healthy volunteers received one of three doses of oral enteric insulin (50, 100, or 200 U) or one subcutaneous injection of NPH insulin (6 U) on four separate days. Glucose infusion rates increased after administration of either NPH or oral enteric insulin. The mean times for maximal metabolic effects for 50, 100, and 200 U of oral enteric insulin were 250, 170, and 236 minutes, respectively, compared with 243 minutes for NPH insulin. The onset of action was slower for oral enteric insulin at 50 U, 100 U and 200 U compared with NPH insulin. The maximum glucose infusion rates for oral enteric insulin treatment were lower compared with NPH insulin, although these differences were not significant. The researchers conclude that "oral enteric insulin capsules induced significant glucodynamic effects and exhibited a time–action profile similar to that of NPH insulin in these healthy volunteers. No detectable increases in serum insulin concentration were observed in any treatment group."